The shoulder is basically a ball and socket joint; on one side there is the humerus with its humeral head, on the other side the scapula with the glenoid bone; in the healthy state, both are covered by cartilage and articulate with each other. The joint capsule, ligaments, and shoulder muscles with their tendons stabilize the joint. 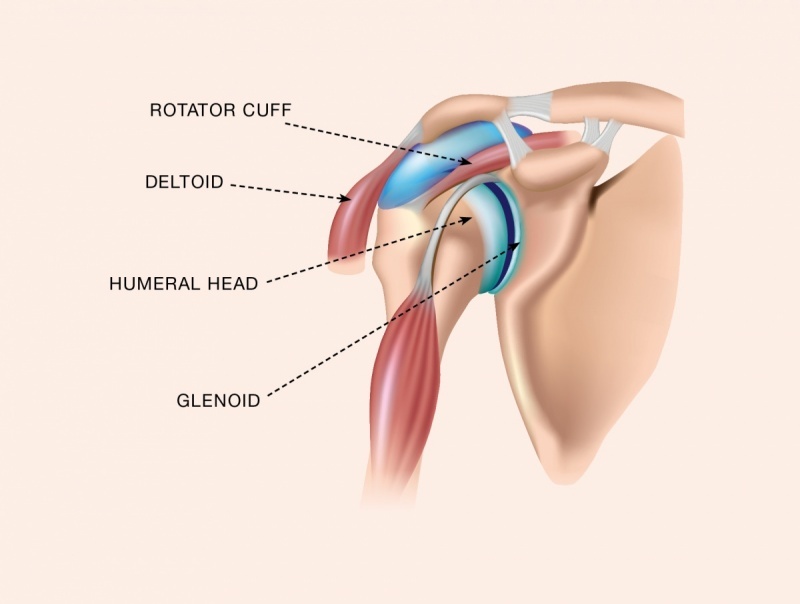 The main moving forces are provided by the deltoid muscle and the rotator cuff, four muscles centralizing with their combined forces on the humeral head in the glenoid cavity.